The solar wind is a stream of particles, mainly protons and electrons, flowing from the sun's atmosphere at a speed of about one million miles per hour. The magnetic field carried by the solar wind as it flows past Mars can generate an electric field, much as a turbine on Earth can be used to generate electricity. This electric field accelerates electrically charged gas atoms, called ions, in Mars’ upper atmosphere and shoots them into space. 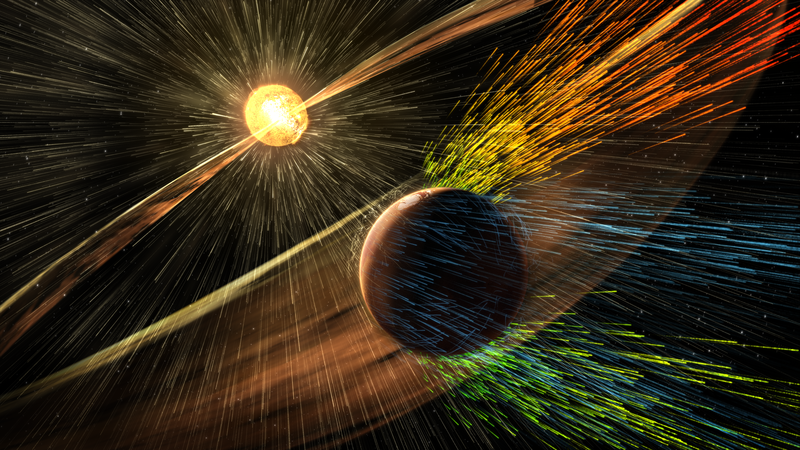 Created using data from NASA's Mars Atmosphere and Volatile Evolution (MAVEN) mission, this visualization shows how the solar wind strips ions from the Mars' upper atmosphere into space. Recently, researchers using NASA's Mars Reconnaissance Orbiter observed the seasonal appearance of hydrated salts indicating briny liquid water on Mars. <https://www.nasa.gov/press-release/nasa-confirms-evidence-that-liquid-water-flows-on-today-s-mars> However, the current Martian atmosphere is far too cold and thin to support long-lived or extensive amounts of liquid water on the planet's surface. The goal of NASA's MAVEN mission, launched to Mars in November 2013, is to determine how much of the planet's atmosphere and water have been lost to space. It is the first such mission devoted to understanding how the sun might have influenced atmospheric changes on the Red Planet. MAVEN has been operating at Mars for just over a year and will complete its primary science mission on Nov. 16. 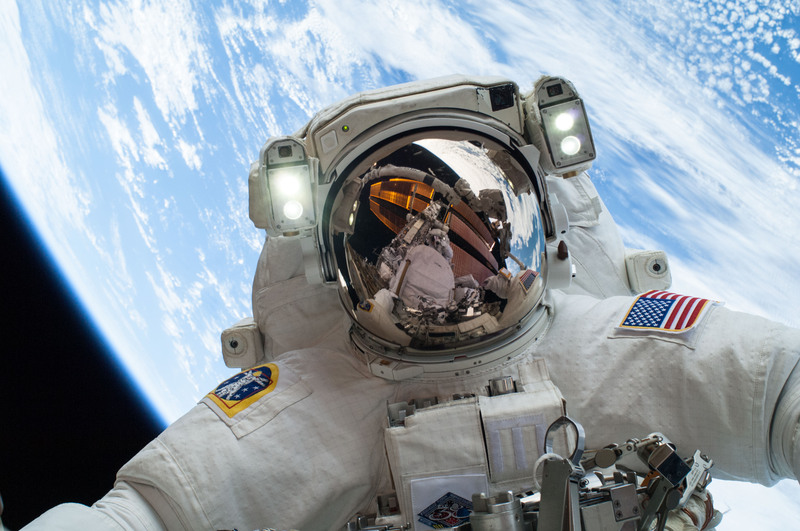 The next class of astronauts may fly on any of four different U.S. vessels during their careers: the International Space Station, two commercial crew <https://www.nasa.gov/exploration/commercial/crew/index.html> spacecraft currently in development by U.S. companies, and NASA’s Orion <http://www.nasa.gov/orion> deep-space exploration vehicle. NASA is developing and demonstrating technologies <http://www.nasa.gov/feature/goddard/back-to-the-future-serviceable-spacecraft-make-a-comeback> to service and repair satellites in distant orbits. Robotic spacecraft — likely operated with joysticks by technicians on the ground — would carry out the hands-on maneuvers, not human beings using robotic and other specialized tools, as was the case for spacecraft like the low-Earth-orbiting Hubble Space Telescope. This photograph looks closely at one of the tools that could be used for satellite servicing in the future: the Visual Inspection Poseable Invertebrate Robot (VIPIR), a robotic, articulating borescope equipped with a second motorized, zoom-lens camera that would help mission operators who need robotic eyes to troubleshoot anomalies, investigate micrometeoroid strikes, and carry out teleoperated satellite-repair jobs. NASA successfully demonstrated VIPIR’s capabilities earlier this year. 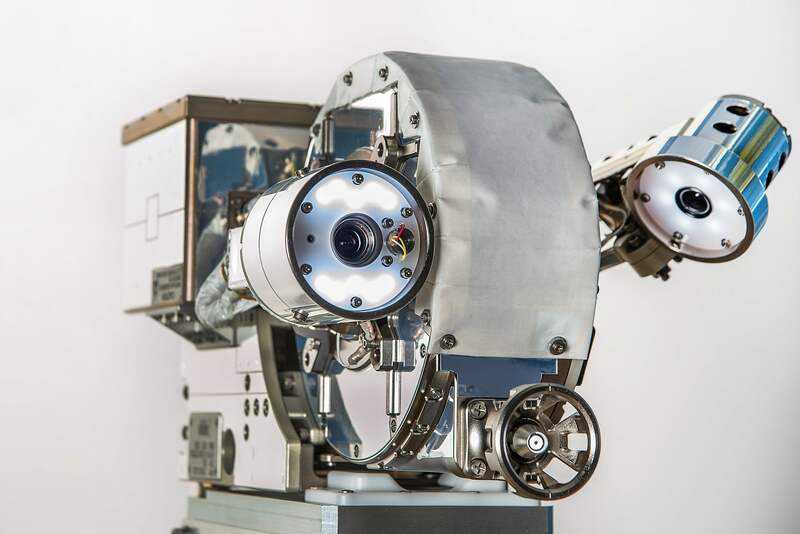 VIPIR would be used in NASA’s Robotic Refueling Mission (RRM), now in the second phase of its on-orbit demonstration aboard the International Space Station. RRM is using the Canadian Space Agency’s two-armed robotic handyman, Dextre, to show how future robots could service and refuel satellites in space. During RRM’s third phase, the Satellite Servicing Capabilities Office team at NASA's Goddard Space Flight Center plans to demonstrate the transfer of xenon, a colorless, dense noble gas potentially useful for powering ion engines. NASA's Spitzer and Hubble Space Telescopes teamed up to expose the chaos that baby stars are creating 1,500 light years away in a cosmic cloud called the Orion nebula. This striking composite indicates that four monstrously massive stars, collectively called the "Trapezium," at the center of the cloud may be the main culprits in the Orion constellation, a familiar sight in the fall and winter night sky in the northern hemisphere. Their community can be identified as the yellow smudge near the center of the image. Swirls of green in Hubble's ultraviolet and visible-light view reveal hydrogen and sulfur gas that have been heated and ionized by intense ultraviolet radiation from the Trapezium's stars. Meanwhile, Spitzer's infrared view exposes carbon-rich molecules called polycyclic aromatic hydrocarbons in the cloud. These organic molecules have been illuminated by the Trapezium's stars, and are shown in the composite as wisps of red and orange. On Earth, polycyclic aromatic hydrocarbons are found on burnt toast and in automobile exhaust. Stellar winds from clusters of newborn stars scattered throughout the cloud etched all of the well-defined ridges and cavities in Orion. The large cavity near the right of the image was most likely carved by winds from the Trapezium's stars. Located 1,500 light-years away from Earth, the Orion nebula is the brightest spot in the sword of the Orion, or the "Hunter" constellation. The cosmic cloud is also our closest massive star-formation factory, and astronomers believe it contains more than 1,000 young stars.